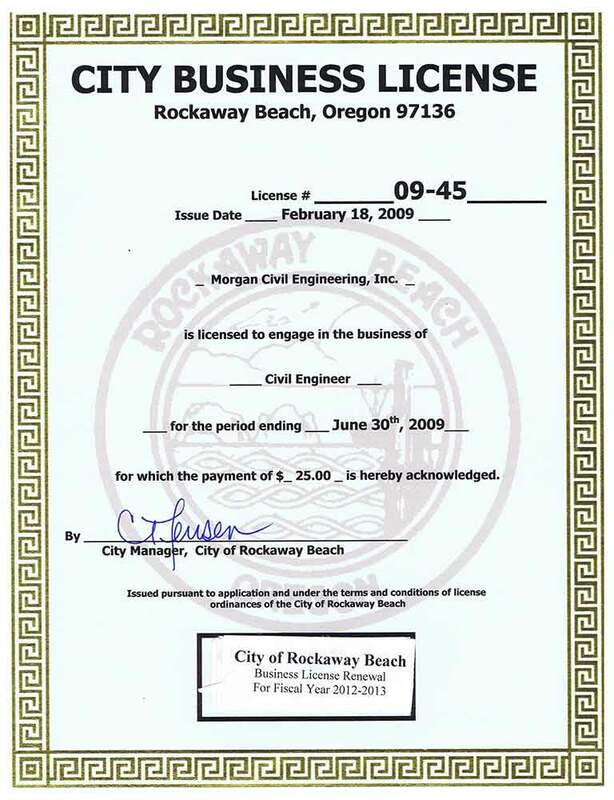 About Us | Morgan Civil Engineering, Inc.
About Morgan Civil Engineering, Inc.
Morgan Civil Engineering, Inc. is a local business based in Manzanita, OR and serving Tillamook, Clatsop and Lincoln Counties along the northern Oregon coast. Thanks to the firm’s location in Manzanita, I can respond promptly and efficiently to situations and difficulties that arise during the projects with which my clients are involved. My proximity to my clients also allows me to pass along the savings associated with my ability to avoid the cost of traveling from Portland or other larger towns along the coast. In addition, my familiarity with the area and its residents, workers, contractors and public employees allows me to work closely with anyone in the communities I serve. I’ve been based in Manzanita since May 1997, and have designed and coordinated projects of varying sizes in the area. I have extensive experience in preparing drawings, reports and calculations for a wide variety of projects. I am a 1994 graduate of the University of Washington, and have been a professional civil engineer, licensed by the state of Oregon, since January 2002 (PE#63055). 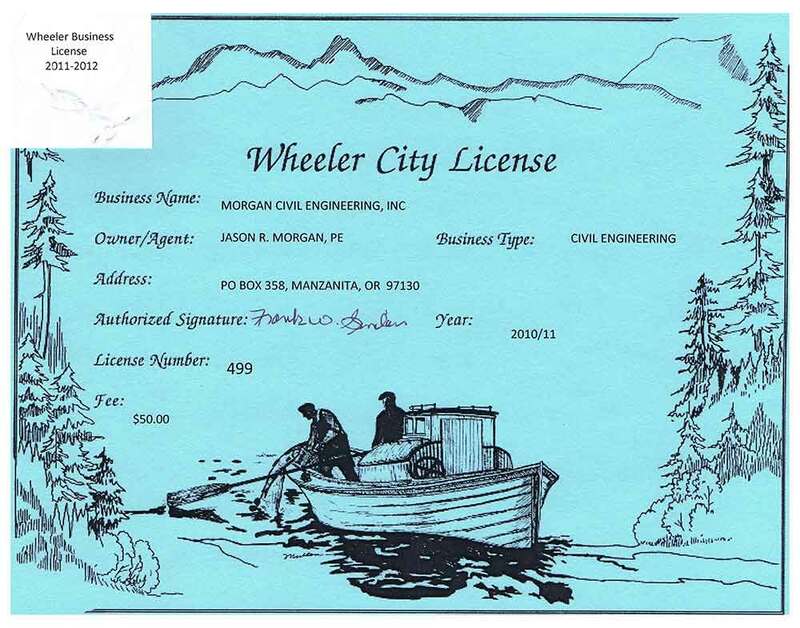 After becoming licensed, I worked for a local firm until it left the area, but was determined to stay in Tillamook County and continue to offer quality civil engineering in Manzanita, OR. In February 2009, I became an independent civil engineer. Since then, I have continued to serve the area in the same manner and with the same level of knowledge and expertise. As a Manzanita resident for nearly 20 years, I know and understand the community, the people and the needs of my clients. 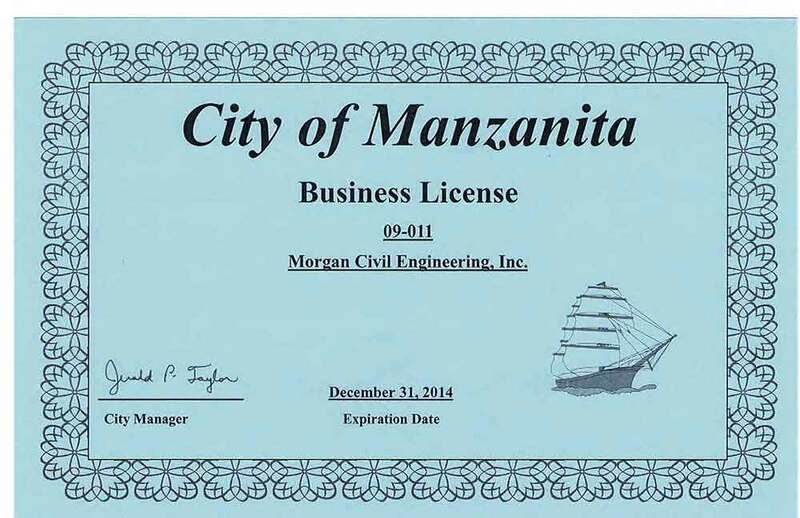 To learn more about how I can provide the necessary engineering in Manzanita, OR for your project, call Morgan Civil Engineering, Inc.’s office at 503-801-6016. I look forward to making sure your needs are met! Here are some websites that may be useful when developing in the area. I can provide contact information for other local surveyors also.